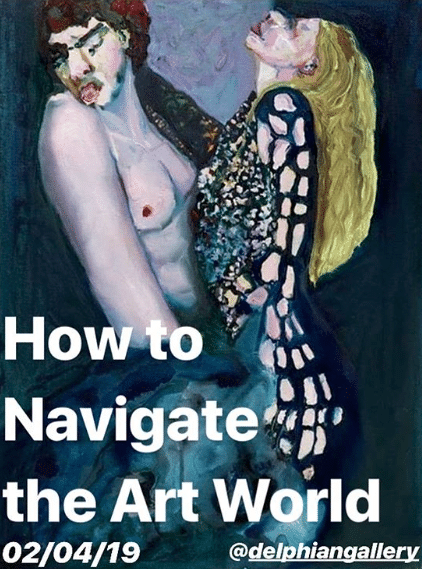 After the success of of our last talk Transition: How To Prosper In The Art World, we decided to do another similar one, this one taking its inspiration from our 2019 Open Call exhibition – How To Navigate The Art World. Delphian director and artist Benjamin Murphy. Delphian director and artist Nick JS Thompson. 2019 Open Call winner – artist Rhiannon Salisbury. Curator, writer, and art-historian Hector Campbell.